FAQs - Planning to Scrap your Car? How quickly can you collect my car? We have a small fleet of recovery vehicles allowing us to collect cars fairly quickly – we even offer same day collection for most cases. We operate 6 days a week (Monday to Saturday). Can I claim back my unused road tax? Yes you can. Keep the tax disc and collect a V14 form from the post office or dowload one from the DVLA website. Do I have to tell the DVLA that my car is going to be destroyed? No, we will collect your log book from you and fill out the necessary paper work. We will then notify the DVLA. What type of vehicles do you collect? We collect all makes and models of vehicles including cars, vans and light-weight lorries. How much of my vehicle will you recycle? 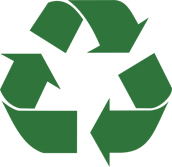 We try and recycle as much as possible including the battery, plastics (such as the bumper), glass, metals and much more. 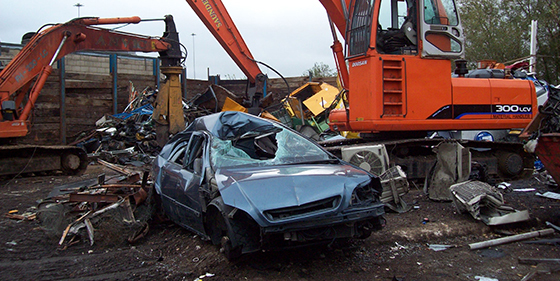 All vehicles are also de-polluted making the scrapping process as environemally friendly as possible. Do I need my V5 log book? If possible please provide us with your log book, if not we can still collect your vehicle please contact us for more information. Swindon, Cirencester, Cricklade, Lechlade, Malmesbury, Marlborough, Devizes, Chippenham and the surrounding areas. My car won’t move, can you still collect? I have lost my car keys, can you still collect? Yes, no problem our team are experienced in dealing with this issue. Does it matter if some of the parts of my car are missing? We do not mind if some parts are missing, however we request that you inform us beforehand.